A number of different Italian made Hyrdofoils were used over the years by Red Funnel as high speed passenger ferries between Cowes and Southampton. 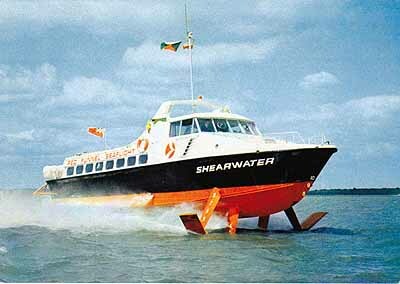 The first Red Funnel Shearwater hydrofoil was introduced in 1969 and introduced a fast passenger service between Cowes and Southamption. It was followed by Shearwater II (1970), Shearwater III (1972), Shearwater IV (1973) and Shearwater VI (1982). 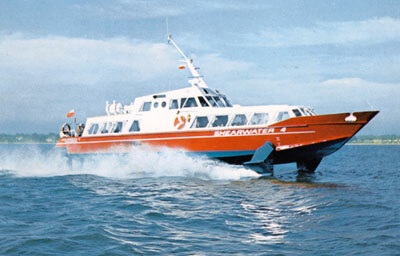 With the introduction of the Red Jet class of passenger ferries from 1991 onwards, the hydrofoils were used less and the last one was disposed of in 1999.